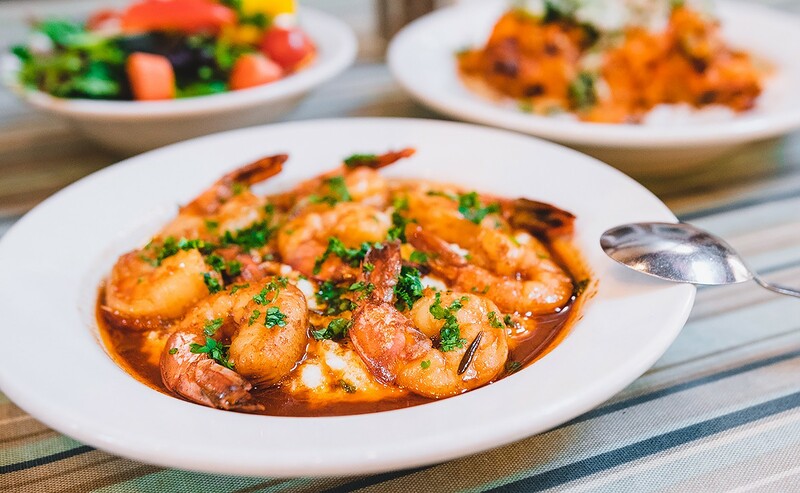 For his special Treebeards dish, chef Dominick Lee of Poitín created his take on Barbecue Shrimp & Grits, a New Orleans standard. Photo by . Treebeards has long been a downtown Houston staple thanks to its rib-sticking, affordable Cajun dishes such as gumbo, étouffée and red beans and rice. The company is now up to five restaurants but it’s been 40 years since the original opened. To celebrate, all Treebeards locations are featuring dishes created by James Beard Award-winning chef Robert Del Grande of Cafe Annie and up-and-comer Dominick Lee of Poitín. In addition, there’s a great deal for one day only. On March 1, the actual anniversary date, customers can buy red beans and rice for only $1.95 — the same price it was when the first Treebeards opened in 1978. The limit is one per person but it can be ordered for either dine-in or to go. For Treebeard’s 40th anniversary, Cafe Annie chef Robert Del Grande created a Texas-Style Smothered Chicken dish. Photo by Duc Hoang. Via a press release, Del Grande said that Treebeards was one of the first Houston restaurants he visited. The chef is originally from California and this was part of his culinary education as he gained familiarity with southern fare. 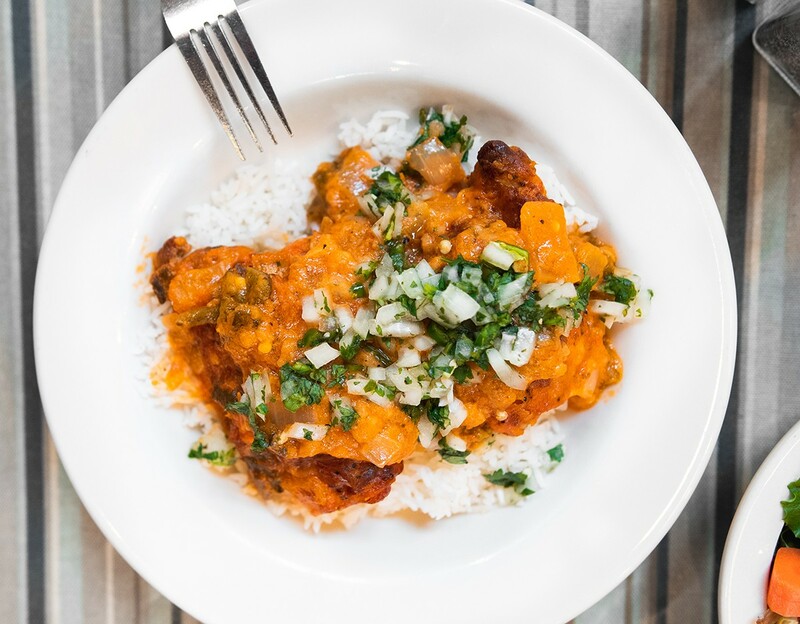 Del Grande’s dish is available now through Friday, February 15 and is called Texas-Style Smothered Chicken. It costs $10.95. Lee’s dish, Barbecue Shrimp & Grits, debuts on Monday, February 18 and is an homage to his hometown of New Orleans. The last day to get it is February 28 and it costs $12.95. 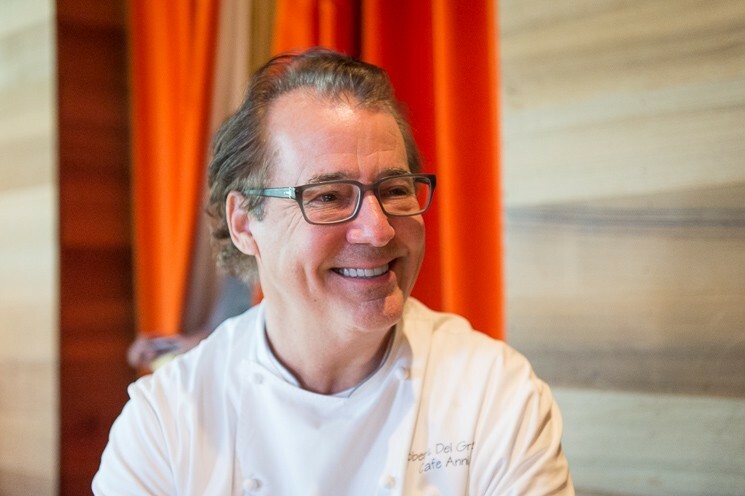 Chef Robert Del Grande of Cafe Annie. Photo by Chuck Cook. “We are looking forward to honoring both the past and the present legacy of Treebeards with the culinary expertise of an award-winning chef like Robert combined with the ingenuity of chef Dominick,” said co-owner Jolie Stinneford. Might this be only the first time Treebeards opens the door to guest chefs? Considering that the effort injects freshness and innovation into the menu of this venerable classic, it seems like the type of idea that could continue. Houston certainly has no shortage of name-brand chefs.